Astrology helps you gain clarity and understanding about yourself and what your future holds. Astrologers; whether they practice Western astrology or Vedic astrology, study the positions of the celestial bodies, in order to guide you regarding the various aspects of your life like your health, financial stability, your life’s purpose etc. They provide you clarity on matters of love, family, career, education etc. Consult India’s best Vedic astrologers on Astroyogi.com for Kundli Matching. However, there are a few basic differences between the two. -The most foundational and important difference between Western and Vedic astrology is their choice of Zodiac. While Western astrologers use the Tropical Zodiac (the motion of the planets is measured against the position of the Sun on the Spring Equinox) Vedic astrologers, on the other hand, use the Sidereal Zodiac (in which Stars are considered to be the fixed background against which the Motion of the planets is measured). -Another major difference between Vedic and Western astrology is that while one uses the movable zodiac, the other uses fixed zodiac to decide the starting point of the zodiac signs. In Western astrology, astrologers consider the position of the planets, which continue to change with respect to the Stars, as they base their Zodiacs on the Equinoxes. Vedic Astrology, on the other hand, bases its computation on the 12 Constellations from the Babylonian Calendar, and also considers the Lunar Zodiac based on 27 (+ 1) Lunar Constellations or Nakshatras. -On one hand, Western astrologers consider all the major planets in their calculations, including Uranus, Neptune, and Pluto. Thus, in Western astrology, Aquarius is ruled by the planet Uranus, Pisces by Neptune, and Scorpio by Pluto. On the other hand, Vedic astrologers refer to only the visible planets, i.e. those till Saturn. Thus, in Vedic astrology, Aquarius is ruled by the planet Saturn, Pisces by Jupiter, and Scorpio by Mars. -Another major difference between the two systems of Astrology is that in Western astrology, retrograde planets are seen as weak, while they are considered to be strong in Vedic astrology. This is because Vedic astrology is oriented towards how planets actually appear in the sky. Vedic astrologers believe that since planets that are retrograde are closest to the earth, they are therefore visibly bigger and brighter. Overall, Vedic astrology is considered to be more advanced, as it is more effective and accurate. Many Vedic astrologers believe that the Nakshatras, Dasha System and Divisional Charts of Vedic Astrology provide a much deeper insight into a native’s life and personality. Compared to the Western system, Vedic astrology is also more reliable because it relies on more accurate astronomical principles, such as referring to a native’s Moon sign rather than their Sun sign while reading their birth chart and making predictions. The Sun changes signs almost every month, while the Moon changes its sign in 2.25 days. This is why predictions based on Moon are closer and more accurate, since our moods and circumstances also change frequently. 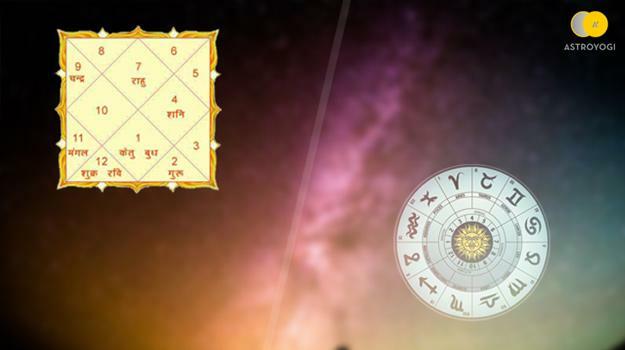 Another advantage of consulting Vedic Astrologers is that they not only assess the natal chart, but also the Dashas. Dashas are periods of different planetary transits through different signs and their influence in real time.